NYCDailyDeals -- What's Free And Cheap In New York City Today: FREE MP3 DANCE PARTY! FREE ADMISSION TO NYC MUSEUMS! FREE! FREE! FREE! FREE MP3 DANCE PARTY! 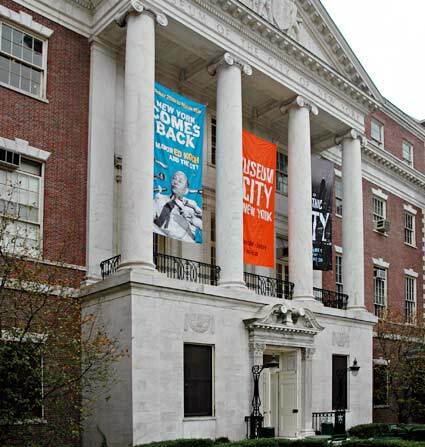 FREE ADMISSION TO NYC MUSEUMS! FREE! FREE! FREE! There are so many awesome deals taking place today, we thought we give you two! If it's nice out, head over to Governor's Island for Improv Everywhere's MP3 Experiment, where hundreds of New Yorkers will download an Mp3 from the group's website, load it onto their iPods, and then press play simultaneously at the pre-appointed time. Last year's event in Battery Park City had over 800 people participating. To download the song and for all the details, click here. The festivities at Governor's Island will still be taking place, but you might not feel like getting wet. If that's the case, click here to download a pass that will grant you free admission into dozens of New York museums and cultural institutions. It's all part of the Smithsonian Magazine's Museum Day.